What Is Related Services in Special Education? The goal of each related service is the same: to help special-education students succeed. Related services should help the student to participate in the general education curriculum with their peers, meet annual goals outlined in their and take part in extracurriculars and non-academic programs. Of course, not every child will be able to achieve these goals. But no child should be denied a service that may help them maximize their educational outcomes. There are many different kinds of special education students, and thus many different kinds of related services. Related services personnel work in schools to deliver these therapies, supports, and services to students with IEPs. Some of the most common providers are speech-language pathologists, physical therapists, occupational therapists, school nurses, school psychologists, school social workers, assistive technology specialists, and audiologists. Note that related services do not include assistive technology or therapies that are beyond the scope of school personnel and must be administered by a doctor or at a medical facility. These kinds of remediations are typically handled by insurance. Likewise, children who receive therapeutic supports in school may need additional support outside of the school day. These are not considered related services and their cost must be covered by the family. For any child to qualify for related services, the child must first be identified with a disability. Concerned teachers and parents may recommend a referral to special education, which will begin the process of developing an IEP for a student and getting the services the child needs to be successful. A referral to special education will convene a team of teachers and professionals to discuss the needs of the student. This team may recommend testing to determine if the child has a disability. Disabilities can manifest in physical ways, such as blindness or motor-control issues, or behavioral ways, such as autism or ADHD. 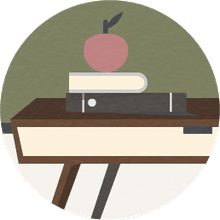 Once a disability is determined, an IEP is crafted for the student that includes annual goals to measure the improvement of the student and the supports needed for success. These supports will determine the kinds of related services to which the student is entitled. Related service providers may see special education students in a variety of settings. For some students and services, the general education classroom may be an appropriate venue for support. This is known as push-in services. Other needs may be better addressed in a resource room, gym, or occupational therapy room. This is known as pull-out services. A student's IEP may contain a mix of pull-out and push-in supports.